Asia Fitness Today is a well-being company led by a team of health, wellness and fitness professionals dedicated to inspire you to MOVE. We adopt a science-backed total wellness approach in our editorial reports, programs and live events and focus on delivering sports, fitness & wellness news and entertainment. As Asian nations progress there’s a growing middle-class of busy working professionals that forego their health in pursuit of their careers. It is our goal and our responsibility to bring that balance back to people’s lives. We believe we can do that through education, fitness programs and fitness events. Produce rich content that’s verified, to inform and educate via our magazine, podcasts and live streaming channel. Verify and recommend fitness professionals to help improve the well-being of busy corporate executives at their workplace. 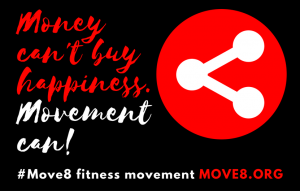 We curate and produce fitness lifestyle programs & events that promote Movement as Therapy. Our panel of advisers comprises of fitness industry experts, certified fitness trainers, athletes, scientists, journalists, nutritionists, physiotherapists, event organisers, writers and foodies and we work hard to deliver a wide-range of news, research studies, interviews and feature articles and videos on fitness lifestyle.